The man who took the alleged birth certificate issue of President Barack Obama to court is now in an election battle for a role as a judge on the Superior Court of California, County of San Diego. 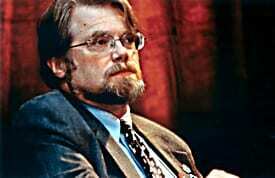 Constitutional lawyer Gary Kreep has been a prominent figure in the Obama “birther” controversy, suggesting that Obama cannot provide substantial evidence suggesting that he was born in Hawaii. In an interview with KPBS, Kreep said that his personal investigation into Obama’s birth certificate and personal politics will not be an indicator in how he would rule should he be elected judge. California’s superior courts are the lowest level of courts in the state that have general jurisdiction on civil and criminal cases. Each of the 58 counties in California has a superior court, and more than 1,500 judges make up the system. Kreep said his decision to run was to counter the patterns of seeing deputy district attorneys become judges and law enforcement officials getting involved in judicial policies. Kreep’s opponent is Garland Peed, a deputy district attorney. Voting results are still being tabulated at the time of publication. Kreep began his efforts to disprove Obama’s citizenship in 2009 when a judge dismissed his original lawsuit, saying the court could not rule on such a matter. After Kreep filed the initial lawsuit, he had to ward off claims that his mission was racially motivated. But Kreep insists that his push for a birth certificate is a move to hold up justice and the law. In an appearance on the Thom Hartmann Program in 2009, Kreep dispelled the notion that the “birther” movement was simply a hate group on a mission. Despite the dismissal of his efforts, Kreep continues his push to prove his “sincere doubts” that Obama is a citizen. In a recent interview, Kreep suggested that Obama is spending taxpayer money to withhold official documents. Obama has already released his certificate of live birth from Hawaii, but Kreep has been consistent that the document is not official. “Mr. Obama’s spending of over $2 million, according to published reports, to keep people from seeing his real birth certificate, which no one has yet seen, we’ve seen computer compilations of various documents that are supposed to be the real birth certificate,” Kreep said. Kreep is confident that his efforts are beginning to pay off, as he feels that Obama’s re-election chances are falling because the issue has created a sense of mistrust between Obama and the voters. “He has engendered so much distrust and questioning over this issue that I don’t think he’s going to be able to put the genie back in the bottle at this time,” he told the United States Justice Foundation (USIF), an organization of which his is executive director of. A 2011 investigation by CNN claimed to have proved Obama was born in the U.S. Among other findings, the investigation showed that Obama could not have faked the documents from Hawaii, as Honolulu newspaper reporter Dan Nakaso said the technology to pull off a feat did not exist in 1961 to submit a fraudulent birth announcement. This entry was posted on June 15th 2012 at 5:11pm/17:11 and is filed under Live News Column 1, Politics. You can follow any responses to this entry through the RSS 2.0 feed.